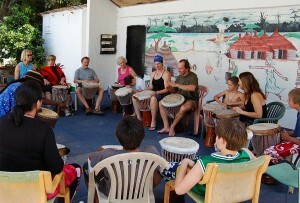 On a magical night in Gambia, West Africa, these multi-cultural chants were recorded live in a village called “Woolaba”. Three voices, a drum and some African crickets bless this music and bring the sacred chants to life! Join Megan Wagner, Jim Larkin and Erin MacDonnell on a journey through the voice and vibration of sacred chants from around the world. 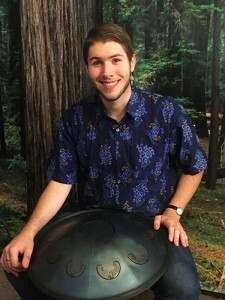 The Hang Drum (pronounced “hong” & also called Hand Pan) is a unique “drum” made of thick metal and looks like an inverted steel drum. When played softly and with reverence, it creates heavenly sounds, perfect for meditation, healing and relaxation.